Antonio Lunghi is an architect working in the family business specialized in the field of restoration of monuments and artworks for generation. To be exact, four generations have followed in the management: the first Alfonso Long who was born in Costano and moved to Santa Maria degli Angeli (Assisi) at the beginning of the Twentieth Century. Alfonso was a master builder who coordinated the team in charge of restoring relevant artworks and monuments, such as ancient stone wash, many objects in Montecatini (Tuscany) and in the Basilica of Santa Maria degli Angeli (Assisi). His son Esmeraldo continued the family business with difficulty; in fact because of the economic downturn, the main activity of the family was in the field of restoration of farmhouses located in the Umbrian countryside. The Company “Lunghi Esmeraldo” was established in 1939, when Esmeraldo affiliated with the Manufacturing Association of Perugia. After the war the company throve again, leading the development of Santa Maria degli Angeli. Esmeraldo’s sons – Espartero, Orlando and Erminio- supported him to manage the company. In 1951, Orlando got his Degree in surveying in 1951 and he became the technical manager of the Company. Later, the Company devoted to realize relevant construction works (hotels, public buildings such as the cinemas, the Primary schools, the Consortium of Santa Maria degli Angeli. The Company has also been involved in key activities aimed at restoring monuments, such as the entrance to the Convent of Santa Maria degli Angeli. In 1980, the Company started collaborating again with the Benedictine monks of “Porziuncola”. The cooperation between the monks and the Company stopped in the 1970s, when they work together on the paving of the Church; altar and crypt. Some years later Antonio, Espartero’s son, started working for the Company. Thanks to his Degree in Architecture, Antonio became the technical manager of the Company. The main activities carried out by the Company were mainly focused on restoration works, consequence of the big earthquake struck the local area in that period. The earthquake caused significant damage to the lantern of the Dome. The Company worked on the restoration of the monument, in collaboration with the Mr. Menegotto, an engineer coming from Rome. Later, in 1989, Company “Lunghi Esmeraldo & Figli S.n.c.” became “Lunghi Ltd”. New members of the family started working for the Company: Giovanni -Erminio’s son- Marco – Orlando’s son- and, some years later, also Luca – Antonio’s brother. In 1997 a terrible earthquake struck Umbria and Marche, causing relevant damages to the Basilica of Francescoof Assisi. The collapse of the vault and Bellower of St Francis Basilica caused the dead of 4 people. The Local Authorities entrusted the Company the management of the restoration works. From 1997 to 1999 the activity of the Company based on the restoration of St Francis Basilica, a very intensive period that ends with the reopening of the Upper Basilica. 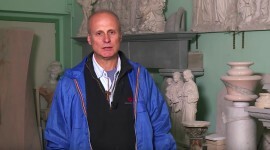 After the earthquake, Antonio took responsibility for managing and collaborating in many restoration works, such as the Monastery of S. Giuseppe in Assisi, the Convent f the Missionary Sisters in Santa Maria degli Angeli and the Monastery of S. Andrea in Assisi. In 2007, relevant finds have been rediscovered in Assisi, inducing interest towards an area where a Roman amphitheater must have been located. So, Antonio started carrying out important structural restorations in the area surrounding the amphitheater. He also worked on the interventions on the luxury hotel NUN. Located in a renovated nunnery, the Nun is set in Roman excavations and uniquely-decorated rooms with design furnishings. Antonio’s professional profile stands out for his great awareness about the old professions linked to the field of architecture and construction industry. 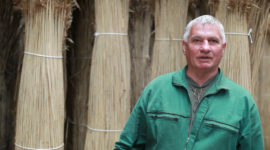 In fact, in total contrast to what usually happens in the field of construction industry, Antonio’s mission is to maintain a production capacity based on the skills and competencies of the craftsmen such as bricklayers, floor layers, plasterers, stonecutters, carpenters, blacksmiths, or better those artisans who used to work in building companies and now have been dismissed because of the economic downturn. Antonio’s company is based on the idea that the integration of different profiles (blacksmith, floor layer, marble worker etc) is crucial. This made Antonio think it was necessary to rethink his Company, focusing on some principles that the modern age has almost wiped out; that is to say the need of gather some craftsmen. That is the reason why the Company hired a group of blacksmiths, such as Adelmo Mariani (born in Assisi in 1959, he joined his father’s workshop where he learnt the traditional iron- working techniques. 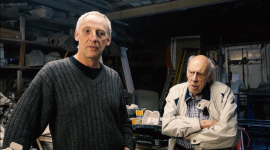 He stayed in his father’s workshop until 1987, when he started combining working experiences linked to his training as blacksmith and employee in a warehouse). In 2006 Adelmo joined the construction company Lunghi Ltd as Master Blacksmith, also having welding, folding, milling and hot working duties. 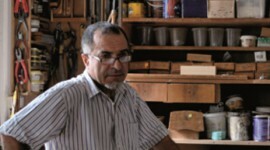 Adelmo has a particular professional profile, as he can integrate different forms of traditional processing techniques with the needs of a construction company operating in the field of historic and artistic heritage, as well as new constructions. The choice of creating a small team of blacksmiths comes from the needs of the Company. In fact, Antonio claims the situation in the field of restoration was quite critical and nobody was able to provide adequate answers to questions concerning key issues, such as the preservation of conditions of monuments and making them safe and the realization of products, antique items. Besides standing out for a genuine interest towards the old professions and the role they play in the field of architecture and construction industry, Antonio’s professional profile also sticks out for the commitment of the maintaining a balance between old knowledge and new tools. 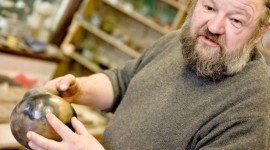 In fact, nowadays, new techniques and tools (CAD software , 3D printing and the technology of laser cutting) can be applied to the old professions and the traditional ways of working, widening the horizons of the workers operating in our fields, allowing the integration of the traditional knowledge and techniques with the modern ones. Maybe such integration can be the key for solving the problems linked to the world of restoration. The field of restoration is based on uniqueness, each piece is unique.